Buying a car on finance is a very common practice and is a great way to help you pay off a car in a way that fits your budget. It is important, however, that you consider these 5 things before purchasing a car on finance. A credit rating is a tool used by banks and other creditors, to determine how reliable you are in paying back loans. Your credit rating is calculated based on your credit history, which is compiled of all of the credits and loans you have applied for over your lifetime. Your credit rating will be higher if you have fewer loans and a history of paying loans quickly. Likewise, your rating will drop if you have many loans and or a history of unpaid loans. Your credit rating affects how big of a loan you can have to finance your car so it is important to know before purchasing a car on finance. Very few people have the luxury of walking into a car dealership and intending to purchase a car outright via cash or check. Salespeople are aware of this and often exploit this fact to make more money. Most buyers and salespeople negotiate a system of monthly payments to pay off cars. This, however, is an easy way to spend too much money. It is important when negotiating payment plans that you get the dealer to adjust things to make them more affordable. They can offer a longer-term loan, adjust your interest rate, or restructure the financing in other ways to fit your budget. Is it the Right Car for You? 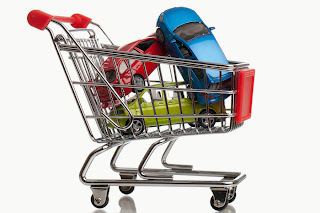 It is essential that the car you choose to buy fits with your lifestyle and your budget. If you are a single person who simply needs to get to work everyday, you should consider buying a smaller car. Likewise, if you have a family, it is unrealistic to buy a sports car. If you are strapped for cash, you need to make sure you invest in a car that won’t be too difficult to pay off and that fits your own specific needs. While it is important to consider the actual cost of the car, is also important to consider all of the other costs associated with a car. You should also consider the hidden long-term maintenance and insurance costs that are associated with your vehicle. As a general rule, car insurance premiums increase with the value of a car, so a more expensive car also means more expensive insurance. Maintenance costs such as tires, oil changes, new brakes, air filters, differ from vehicle to vehicle and must also be considered. In addition to these costs, you must also consider the car’s fuel consumption. Regardless of your personal needs, budget and credit rating, there are a variety of different car financing options available. For more information about car loans and financing a car, contact a leading finance provider such as Dreamloans.